You don't have to have a special event on the horizon to want your patio looking clean for. 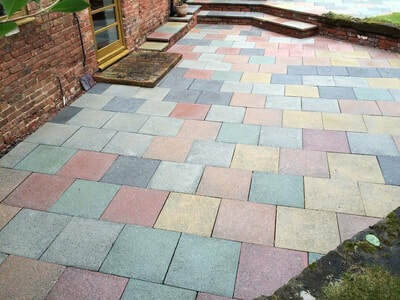 Sometimes we just get fed up of looking at a grubby patio as it spoils the look of the garden and or home, a clean patio really can transform the look of your garden. Whatever the reason may or may not be, you've come to the right place. We are proud to have a fully trained and insured team that have a drive for delivering A* results. 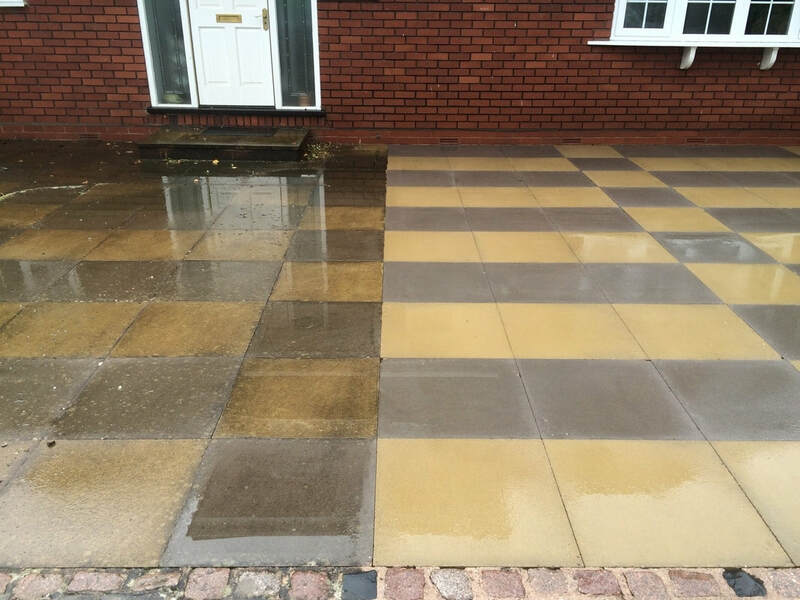 We can transform your grubby looking patio area in no time, using our mosmatic flat surface cleaner along side our Honda powered pressure washing equipment and experienced operators there is no patio we are unable to clean. 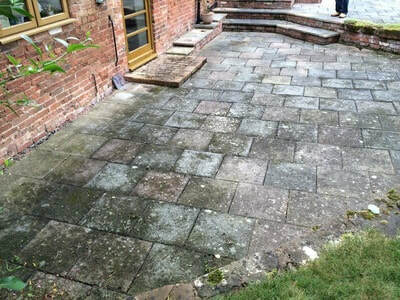 If your patio is covered in slippery algae, black lichen stains, weeds, moss or just general dirt and grime and you think it's past saving, don't worry we can clean, treat and protect your patio leaving you with results that you will be over the moon with. If you haven't already, take a look at our gallery to see previous patios we have restored and see what the customers have to say on our review page. Not only do we deliver a 5 star service from start to finish but we also offer free quotations with a price beat promise on all genuine like for like written quotations. If you would like to receive a free quote for your patio clean you can call us on 01902 903709 or visiting our book your quotation page.